At 3 WOLVES we believe, shoes make an outfit. You can throw on a crazy shirt and crazy pants but you add those shoes - done. 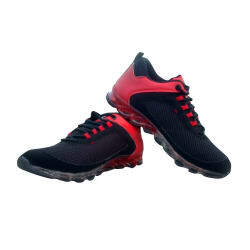 The shoes we make are made from premium quality synthetic, these shoes offer utmost comfort to your feet. These trendy sneakers offer a suave and premium look to you. We provide you with a piece of craftsmanship with the finest quality and best in class footwears and fashion accessories.